President of Djibouti Ismail Omar Guelleh, L&T chairman A M Naik, late journalist Kuldip Nayar, late actor Kader Khan and cricketer Gautam Gambhir were among the 112 prominent personalities who were named on Friday for conferment of this year's Padma awards. Folk artist from Chhattisgarh Teejan Bai, Guelleh, Naik and theatre actor from Maharashtra Balwant Moreshwar Purandare will be honoured with Padma Vibushan, former Comptroller and Auditor General V K Shunglu, former union minister Kariya Munda, Akali leader S S Dhindsa were named for Padma Bhushan. Former CEO of CISCO Systems John Chambers, South African anti-Apartheid Leader Pravin Gordhan, iconic face of MDH spices Mahashay Dharam Pal Gulati, Malayalam actor Mohan Lal, founder President of Saraswati Nadi Shodh Sansthan, Darshan Lal Jain were among the 14 renowned persons named for Padma Bhushan, the Home Ministry announced. 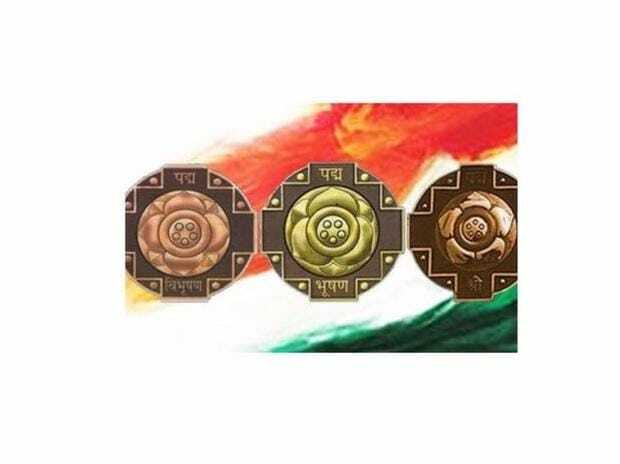 Late actor Kadar Khan, cricketer Gautam Gambhir, dancer and choreographer Prabhu Deva and former diplomat S Jaishankar are among 94 persons named for Padma Shree. These awards are conferred by President of India at ceremonial functions which are held at Rashtrapati Bhawan usually around March/ April every year. This year the President has approved conferment of 112 Padma Awards including one duo case (in a duo case, the Award is counted as one). The list comprises four Padma Vibhushan, 14 Padma Bhushan and 94 Padma Shri Awards. As many as 21 of the awardees are women and the list also includes 11 persons from the category of Foreigners/NRI/PIO/OCI, 3 posthumous awardees and one transgender person.